Click to view our gallery of kitchen projects. Click to view our gallery of bathroom projects. Click to view our gallery of outdoor kitchen projects. Click to view our gallery of projects. 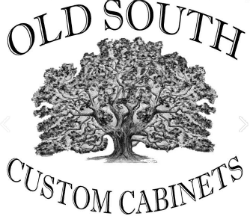 My experience with Old South Custom Cabinets was everything I expected. When they came to install my dream kitchen, everyone was curtious and respectful. My kitchen was finished in a timely manor. I would recommend Old South Custom Cabinets to my best friend and use them again.